With this in mind, we've gotten permission from Stitch of Stitch's Media Mix to re-post her review! Stitch is a black woman, a geek, and a skilled writer. She can be found on Twitter, talking about race and fandom, books, you name it. You can also support her on Patreon! Below is Stitch's review, with verrrry minor Black Panther spoilers. If you walked out of Black Panther on your first (or third) viewing and were hit by a craving for some sweet romance in the same vein as the sweetness between Chadwick Boseman’s T’challa and Lupita Nyong’o’s Nakia, boy do I have the book for y’all. 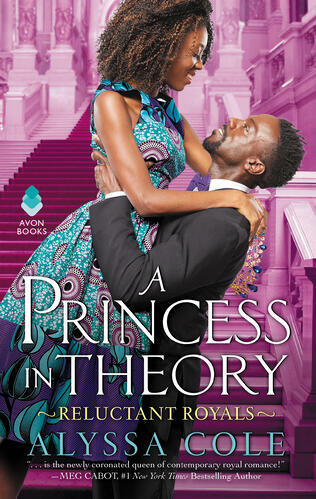 A Princess in Theory, the first book in Alyssa Cole’s new Reluctant Royals series, is a fantastic “lost royalty” story centered on the evolving relationship between a potential princess that doesn’t know her own past (but does know her way around a lab since she’s an epidemiologist) and the prince who happens to believe in happy endings (but needs to do a bit better about his big reveals). While I know full well that Cole’s fictional country of Thesolo isn’t a direct match with Wakanda and Naledi and Prince Thabiso only share a couple of similarities with Nakia and T’challa (and if you want to ask me more about the Wakandan connections I’ve fumbled my way to, please do… but only after you’ve read A Princess in Theory), but when reading A Princess in Theory, one of the things that I couldn’t let go of was the way that the novel just… really reminded me of Black Panther and a bunch of stuff that I wanted from the film. There are some rough patches in the book (thanks to Thabiso being a bit of a fuckboy and making one heck of a mistake when meeting Naledi), but I honestly couldn’t get enough of either Naledi or Thabiso. 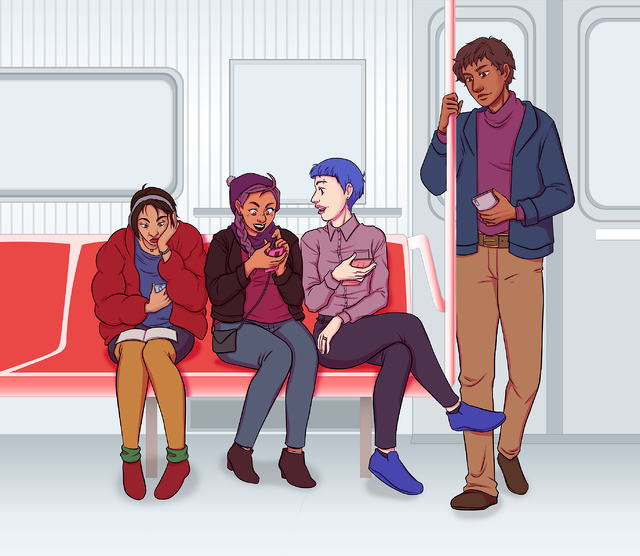 All of the relationships in the novel are fantastically written and I had fun trying to like squint and figure out which secondary characters would wind up with books later on in the series (not a requirement for reading the book, of course). I grew up reading the Princess Diaries series and I can’t tell you what it meant to crack open A Princess in Theory and read about a heroine in a similar situation who is, in many ways, a lot like me. Naledi is brilliant and beautiful, Thabiso is a real life Disney Prince, and A Princess In Theory is currently my favorite romance novel of 2018. Get your hands on this book today!